Biman Bangladesh Airlines offers a 20 per cent discount on six international routes during the Bangladesh Travel and Tourism Fair from April 19 to 21. 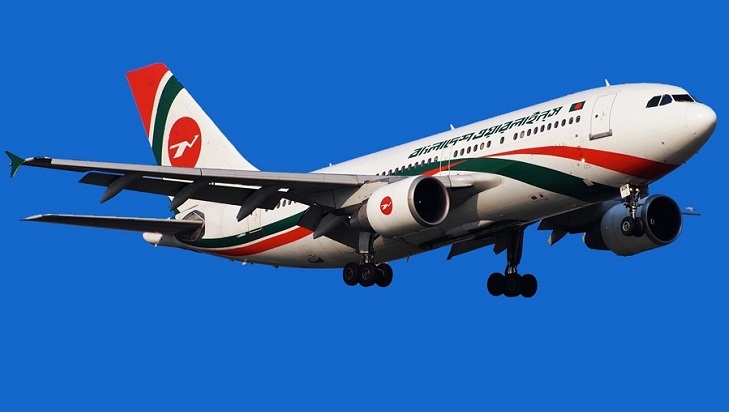 On the occasion of the international tourism fair, Bangladesh Biman is offering the discount on economy class seats to attract national and international tourists, said a press release. The air travellers can enjoy the discount on the routes of Dhaka-Bangkok-Dhaka, Dhaka-Singapore-Dhaka, Dhaka-Yangon-Dhaka, Dhaka-Kuala Lumpur-Dhaka, Dhaka-Kolkata-Dhaka and Dhaka-Kathmandu-Dhaka, reports UNB. After taking 20 per cent off, the net return fare on the above routes will be Tk 17,631, Tk 22,535, Tk 24,318, Tk 20,469, Tk 9,919 and Tk 15,201 respectively. Biman will also offer 7 per cent discount on other international routes while 10 per cent in national routes and the tickets will be available during the three-day fair which will be inaugurated by Industries Minister Tofael Ahmed and Civil Aviation and Tourism Minister AKM Shajahan Kamal on April 19 at Bangabandhu International Conference Centre. The fair will be open to visitors from 10 am to 8 pm and visitors can buy tickets using both credit card and cash from the Biman pavilion.